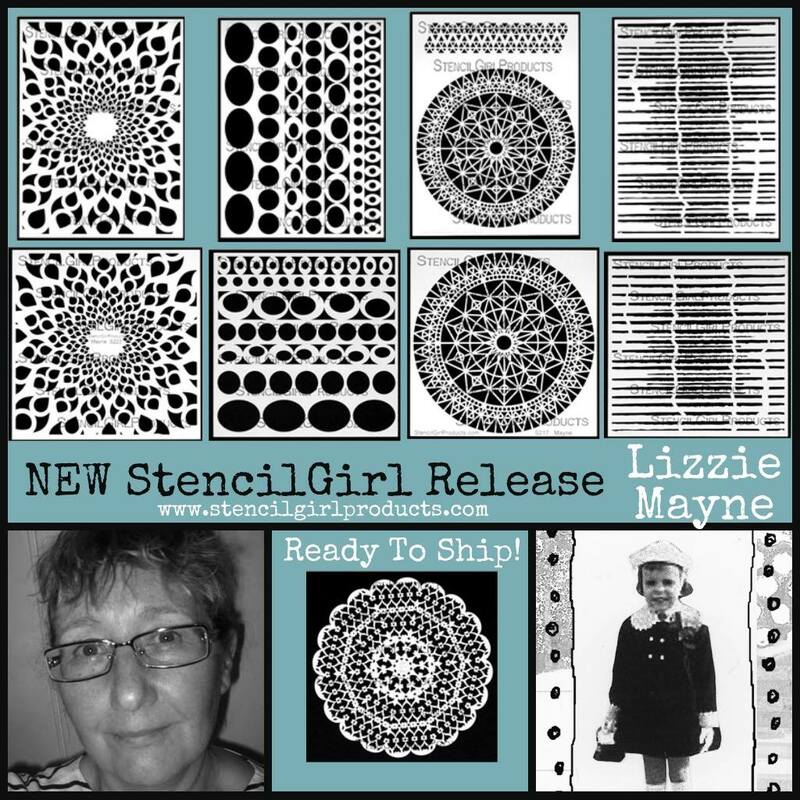 I am so excited to share with you my new stencils that are now available through StencilGirl. 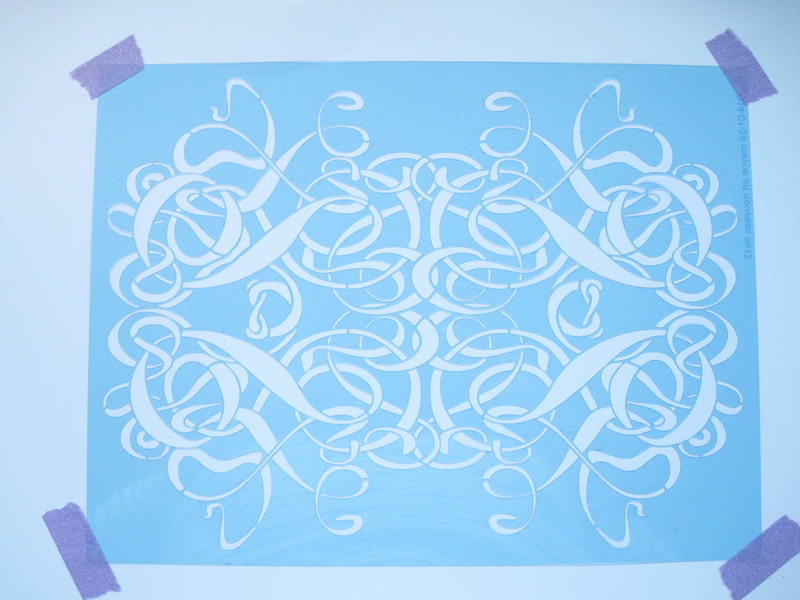 I have been playing with my stencil Art Nouveau (not shown in the above picture but can be found on the ‘New Stencils’ link above). 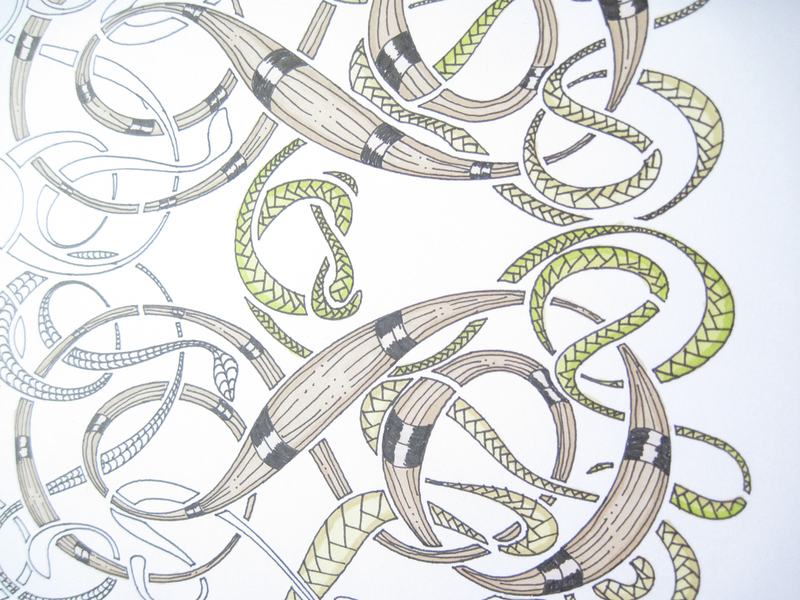 I love creating patterns to the extent that I would say I am obsessed by them. I can’t go out without looking at everyday objects, architecture, people’s clothing just about everything without thinking whether I can translate it into either a stencil, cutting file or a tangle pattern. Some which can convert nicely into all three. 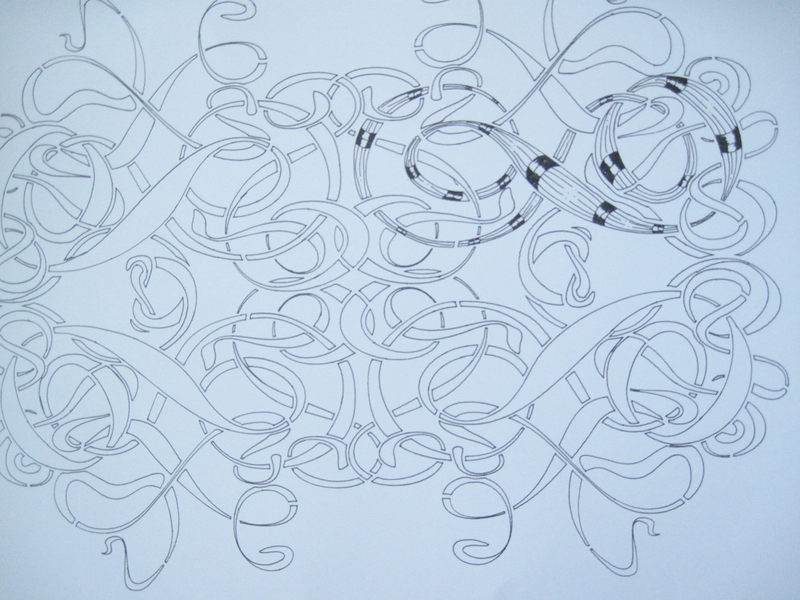 to see which ones will fit well within the long thin shapes of the stencil. Gradually filling up all of the spaces takes time and took me about two afternoons. 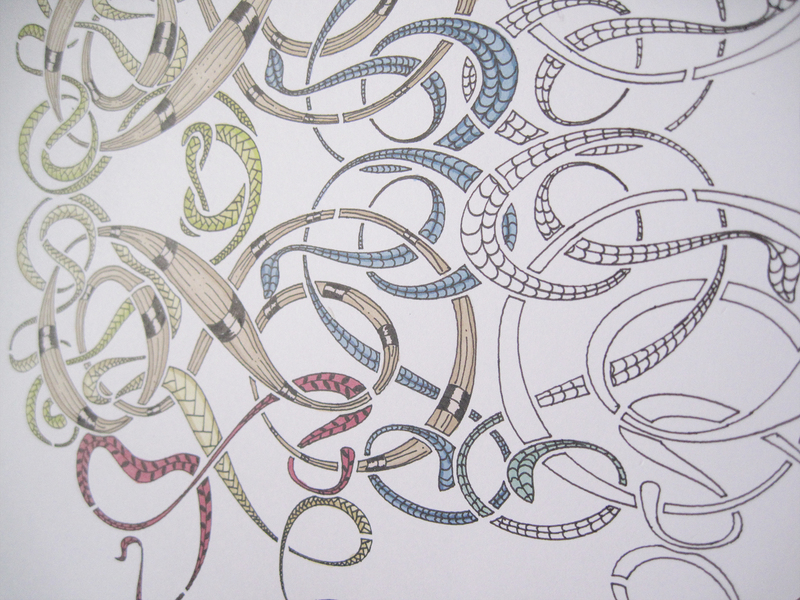 I normally choose the colours after I’ve finished the tangles. 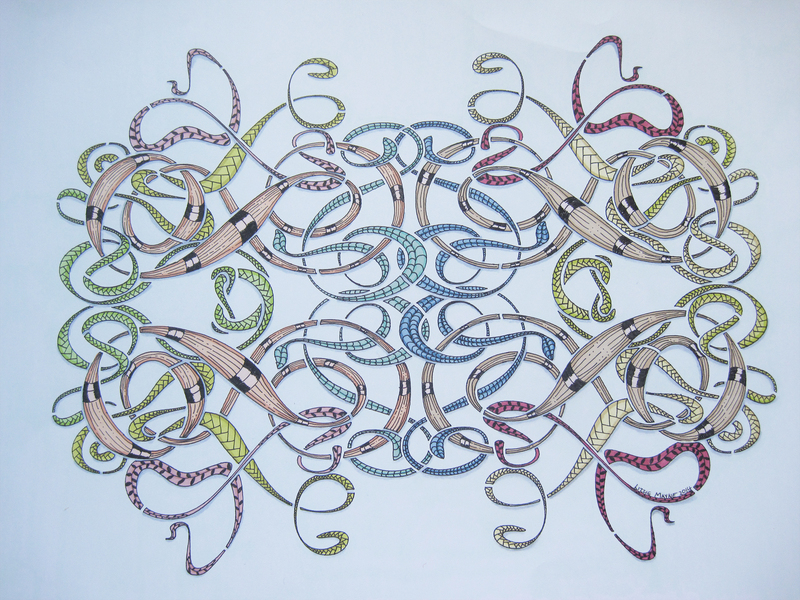 But this time I knew that I wanted to use a muted medieval colour palette and decided to colour as I went along. 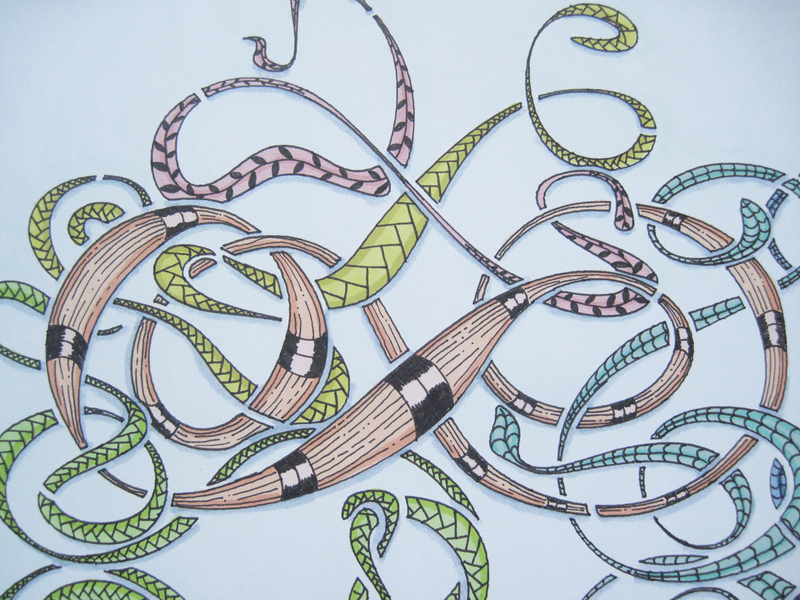 I used alcohol markers a mixture of Pro-markers, Flexmarkers and Kuretake Kurecolor twin markers. 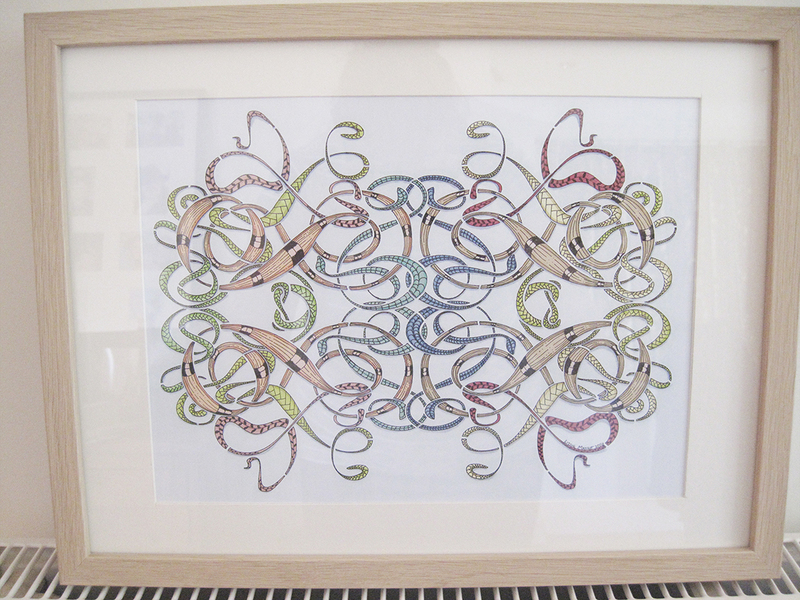 It was my brother’s partner’s birthday and thought I’d frame it and give it to him for a birthday present. My brother’s reaction was “great, we can sell it when you become famous”. Bloomin’ cheek! Very nice, flowing design. Love the calligraphic quality of it. 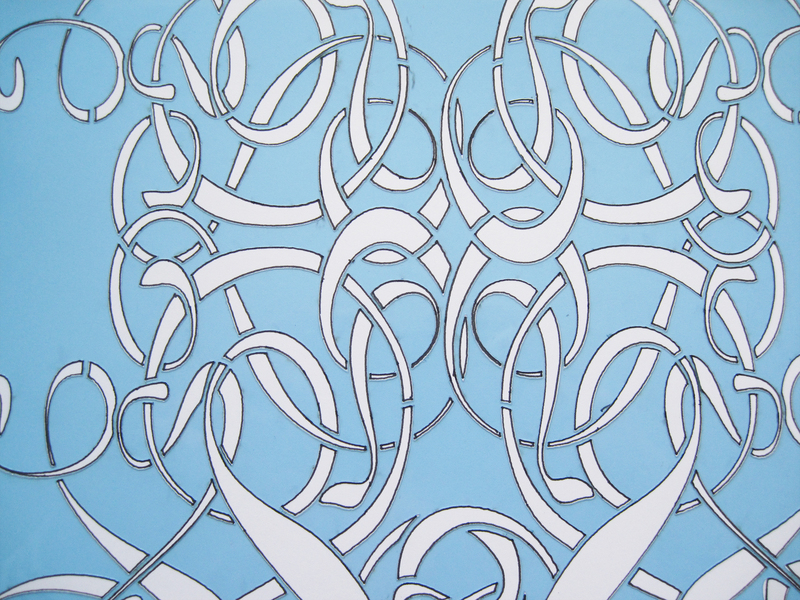 Wonderful grouping of stencils and the art piece you created here is beautiful! Every time I like a design on silhouette store, it turns out to be that you are the designer of that design. I like your style.